I have new to me brand to share with you today. I spotted this brand recently at the Christmas Tree Shop (which is owned by Bed Bath & Beyond). What I've learned is this brand was created by the founder of Sinful Colors. The name "Kokie" derives from the Korean word for elephant, hence the logo. The display was pretty impressive and I think they probably had around 100 colors. This color caught my eye! All The Envy is a jade green creme. Color: I'm not normally green polish person, but I love this color. 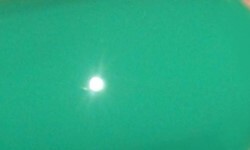 This is a true rich jade green. It's a really chic green that I think is very flattering. I love the saturation and creaminess of this color. Formula: This had an excellent formula. I used 2 coats above and it applied very smoothly. I really liked everything from the formula to the brush. Price: This was $5.99 at the Christmas Tree Shop this is also available at select Bed Bath & Beyond stores with the expanded cosmetics section and on their website. I'm not sure how I feel on the price. It's clearly more affordable than mainstream brands, but I wish it were just a little cheaper. They're better quality and a better shade range than Sinful Colors, but I don't think it is very competitive at the $5.99 price. I wish they were $3.99. I'd haul more at that price! 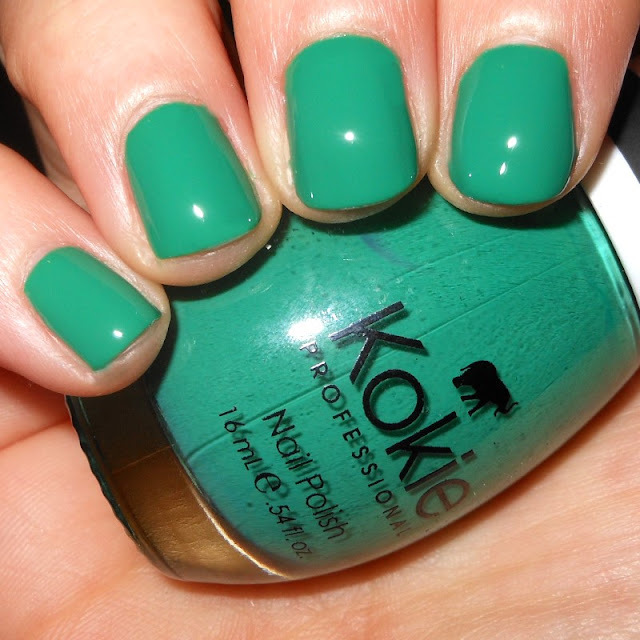 Overall: I really was impressed and enjoyed this polish by Kokie Cosmetics. I think the shade range and this color, in particular, were excellent. The formula was on point. I'd shop this brand again. I wish the price was just a teeny bit cheaper but other than that I have no complaints.